Enjoy golden color private hot springs and seasonal Japanese kaiseki cuisine with heartfelt hospitality. Our open-air hot spring bath, situated in a garden, our bountiful, flowing fresh from the source, heated by the earth itself! Our inn also prides itself on its delicious cuisine! 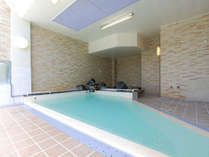 A large variety of 100% natural hot springs in this hot springs touring inn. Famous for our open-air hot spring garden bath, and our delicious cuisine! We're a hot spring inn fed with all-natural waters flowing fresh, 100% straight from the source! Feel an effective pain for your body! Enjoy soaking in the highly acidic sulphur spring and the local Aizu cuisine at the irori fireplace.